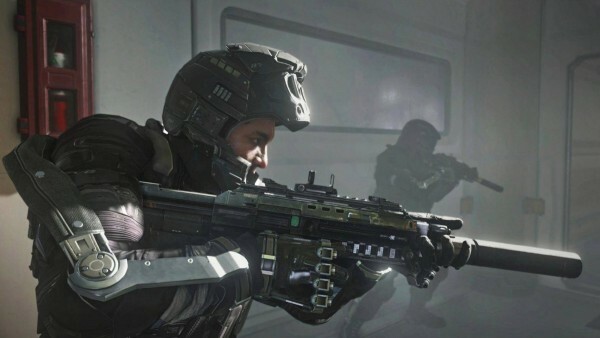 When a major new video game comes out and there is any representation of a gun, you can rest assured that certain parts of the media will be all over it, first pointing out the morally corrupt parts of the title, then just waiting for the first major crime to come their way that they can tie in with the game somehow. And they have often looked to back up those potential links with research that finds video games to desensitize and build up anger in users young and slightly older, but there is now a new study that has been thrown into that argument as part of the opposite side. The study, conducted by the DeLand (Florida, USA)-based Stetson University, declared that video games are not resulting in more violent consumers. and that levels of ‘violent crime’ perpetrated by people in the 12-to-17 age group declined in correlation to increased video gaming, perhaps supporting the ‘let off some steam’ school of thought. It was noted that the overall context of a game and its storyline in well-known franchises (such as Grand Theft Auto and Call of Duty (pictured)), much like the context of movies, TV shows, or music receives under such scrutiny, should be considered before rival studies jump to rash conclusions. Christopher Ferguson, the psychologist who led the examination, stated: “The degree to which laboratory studies faithfully capture the media experience is also debatable. Many such studies provide exposure to only brief clips of media, rather than full narrative experiences, in which violence exposure is outside of a narrative context. This week has seen the current 1st season of HBO‘s late-night news comedy talk show Last Week Tonight with John Oliver, though the wait for fans until February 2015 for the former The Daily Show presenter to start the second season will be, as the English saying goes, better than a slap in the face with a wet fish, at least. How little does the saying know. Reacting to the news of the newly-developed ‘salmon cannon’ that helps salmon fish to be relocated upstream when in the vicinity of a dam, English comedian Oliver and his team on Last Week Tonight were inspired to construct one of their own. 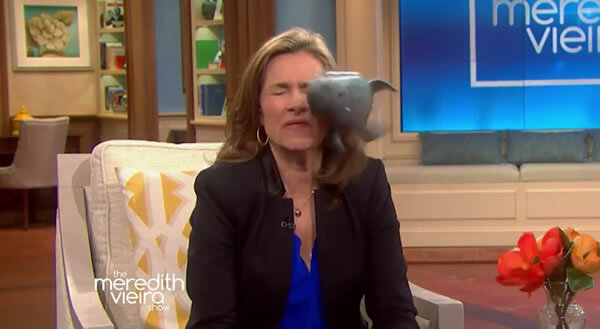 Whilst obviously played for laughs, the power of (plastic) flying fish managed to literally touch many people and characters from across the TV and movie landscape, including Jon Stewart, Jimmy Fallon, Tom Hanks, Wanda Sykes, and R2-D2. Fox Confirm Comeback For Are You Smarter Than A Fifth Grader? Adding to a list of network decisions that includes the immediate cancellation of reality experiment Utopia, seemingly preparing sitcom Mulaney for a similar fate with an episode cut, and announcing upcoming Ryan Murphy comedy-horror anthology series Scream Queens to begin life at some point in their broadcasting future, Fox have made a different kind of move with their latest announcement, and one that might fit in well with the latter, bringing a show back from the dead. Quiz show Are You Smarter Than A Fifth Grader? is set to return at some point, picking up where it left off from an original run on the network between 2007-2009, notably spawning a franchise that has seen spin-offs around the world, one of the most notable of which was in the UK where Are You Smarter Than a 10-Year-Old? ran on Sky1 for a year longer than its parent show. The renewed series will retain the format of the original creation of Mark Burnett, in which adult contestants enter the studio of the appropriately-named Jeff Foxworthy (who will return as presenter for the remake) and take on a series of quiz questions with each one getting them on a higher level towards a $1m prize. The questions themselves are not the typical quiz show standard, though, instead being taken straight from elementary school textbooks from grades up to 5th, with a team of 10/11-year-olds on hand to (usually) provide the right answers and be available as the ‘lifelines’ for the contestant if they are struggling. 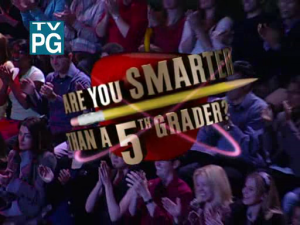 And the show itself thrives on the concept of the contestant struggling, with the questions almost designed to play on the fact that you either do or should know the answers but for memory and/or the pressure of the situation, and those not winning the top prize signing off with the line “I am not smarter than a 5th grader”. In what can only really be seen as a continuing effort to wean people off of Merlin considering its direct replacement status, the BBC have announced further plans for the second season of their fantasy/mythology drama Atlantis, with the announcement of how the upcoming next run of the show will be aired in the USA. 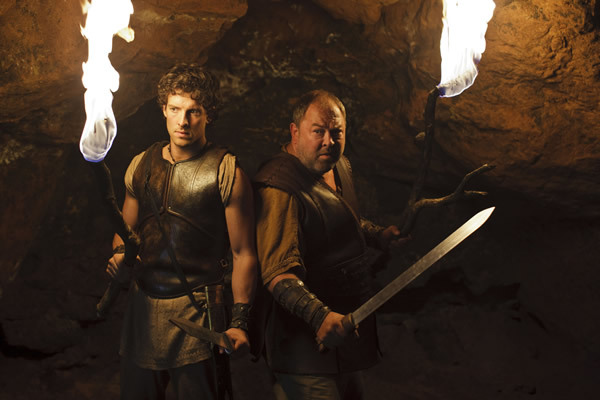 Whilst it is usually the place of British networks such as Sky to promote a major event in an American TV show by either simulcasting or short-delaying the content for minimum waiting time, the roles are occasionally reversed when the BBC are involved with one of their biggest shows, which they must consider Atlantis to be, given that it has been scheduled to air in the USA on the BBC America channel just a few hours after it has broadcast in the UK. It has been confirmed that shortly after airing on BBC One in the UK, the second season premiere of Atlantis will be viewable on BBC America on Saturday 15 November at 9pm ET, forming a part of the network’s ‘Supernatural Saturday’ programming block. 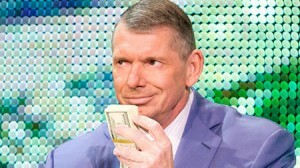 The WWE Network service, launched in over 170 territories but facing several delays in what many would consider to be a key market for the professional wrestling company in the UK, have seeked to tone down the oddity by bringing out its biggest possible figure for a public statement on the matter. WWE chairman/CEO Vince McMahon (pictured) has made an official statement in response to the ongoing delay of the WWE Network on-demand subscription video service, with repeated pushbacks of the date leaving the franchise’s fans in the region disappointed at being able to access the platform without doing so by proxy, and probably unable to take up the November free month offer for new subscribers currently being provided elsewhere. It has been noted by the WWE that WWE Network UK will be delayed “until further notice”. McMahon, in a short video message on the official WWE website, stated of this matter: “On behalf of WWE, I want to personally apologise for the delayed launch of the WWE Network here in the United Kingdom. There’s no-one more important than each and every one of you in the WWE Universe, especially here in the United Kingdom, where we’ve shared so many great memories together. Dancing, especially the ballroom variety, would not be anywhere near the top of a list of activities most associated with violence, but it could soon get that way for the BBC‘s Children in Need charity special, after they revealed a promotional image for one of the most unusual of TV cross-overs. 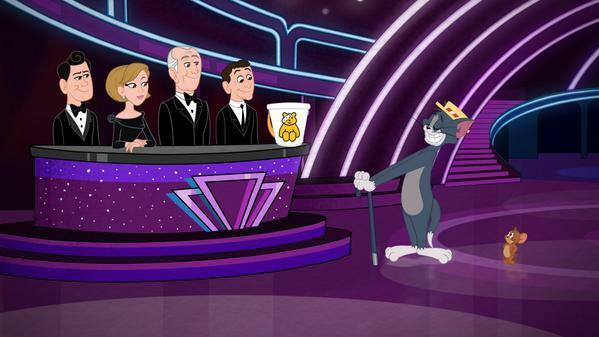 In this instance, the broadcaster’s popular celebrity dancing contest Strictly Come Dancing will turn into cartoon form for a few minutes as the judges watch a performance from arguably the most famous cartoon animals on the planet. Set to be seen in the lengthy annual fundraising spectacular on Friday 14 November, the cat & mouse duo of Tom & Jerry will hope to put old racism implications and their own violent behaviors behind them for a dance together, though being who they are it would be disappointing if slapstick did not eventually break out. Also appearing in Strictly Come Dancing‘s efforts towards Children in Need this year is former veteran presenter Sir Bruce Forsyth, who will introduce a special one-off competition in which four ‘young ballroom champions’ will dance alongside Strictly Come Dancing‘s celebrity-partnering professional dancers. Starting at 7:30pm with plans to include a number of celebrity and special musical performances along with comedy sketches of popular shows, will Children in Need‘s surprise new guests help significantly in adding to the £740m raised by the charity on TV since launch in 1980?